This year, at ATS, we have a lot of news to share with attendees. 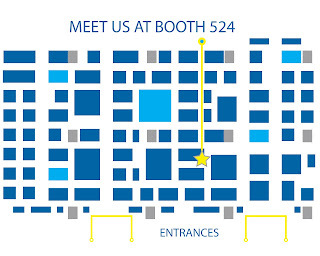 At booth 524, we will be demonstration our flexiVent FX system with our multi-subject extension (MSX) alongside our inExpose inhalation exposure system. You can look forward to learning more about our new dose response capabilities and other key features from our latest flexiWare 7.5 software. Attendees can also be the first to watch our new JoVE video called Evaluation of Respiratory System Mechanics in Mice using the Forced Oscillation Technique. You can view the video in full by clicking here. We are presenting two posters at ATS 2013, both during the same session on Sunday May 19th. Our Senior Scientist Dr. Annette Robichaud and flexiVent Product Manager Liah Fereydoonzad will both be present to discuss these findings. Don't miss our Breakfast Symposium on Tuesday May 21st at 7am. Complimentary continental breakfast will be served while our team presents the latest flexiVent developments. Click here to read more and register for this event.